Mechanika is one of the minorities of elite outfits in the UK with the ability to offer full Seismic Analysis, Design and Qualification. We have carried out many seismic assessments for high integrity equipment and structures for many applications, for equipment such as cranes, remote handling applications, walkways, bogies and travelling devices. Mechanika can comply with any relevant worldwide codes. We also have significant experience in the seismic assessment of mobile equipment in South America, where seismic activity is prevalent. 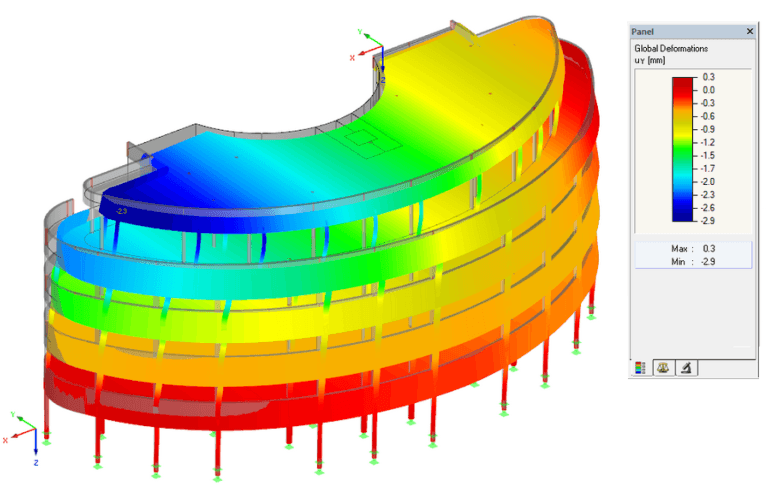 Using our specialist FEA capabilities, we can simulate the response of a system to seismic loading and then carry out detailed stress analysis to determine the suitability of the structure for seismic conditions. Depending on the type and size of the equipment being analysed, we have the ability to have physical forced vibration testing carried out to enable a robust proof of structural conformity along with our rigorous analysis reports.